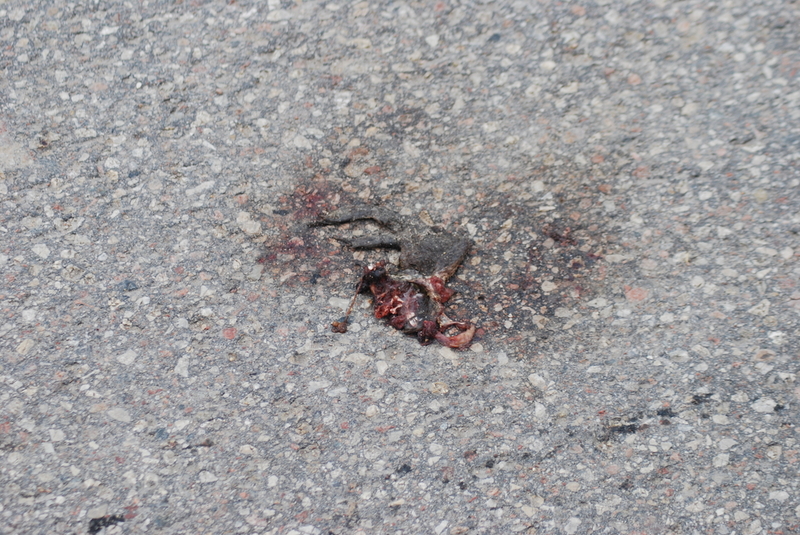 just a quick update as i am really busy with studying right now. I just added SEXTANTE support to LecoS and although it isn’t as powerful as the original LecoS Gui (only allows you to calculate a single metric at once) you can now address most of the functions (vector analysis excluded) from within the SEXTANTE toolbox. Simply enable it in the options first to see it in the toolbox. 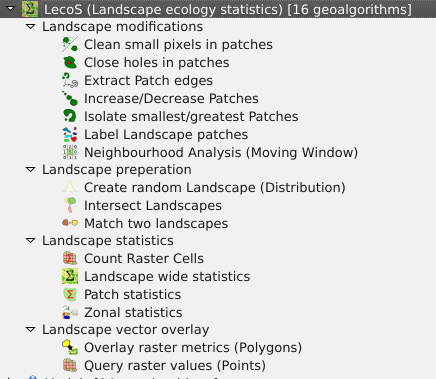 Well, you can now batch-process the LecoS functions for multiple rasters and also include the landscape analysis tools in the SEXTANTE modeller. Below is a simple example of a model i just created. 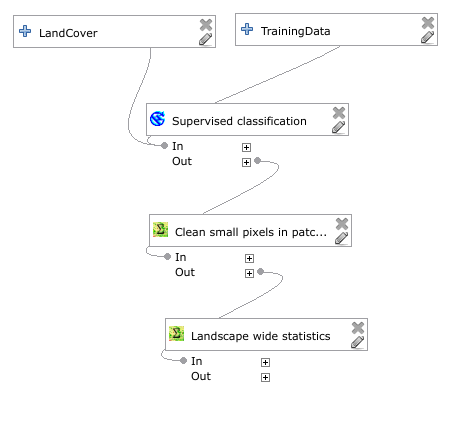 It takes a raster (Satellite landcover image) and a polygon (Training Data) as input and then automatically performs a maximum likelihood supervised classification. Afterwards it uses the landscape modifier function “Clean small pixels” to clean up the result and then calculates the total sum of all newly classified landscape pixels with the landscape analysis tool. I think this is it for now with new features for LecoS. Unless me or someone else needs a new fancy technique, i will make a feature freeze for now. Please report any bugs and blockers on the bugtracker. 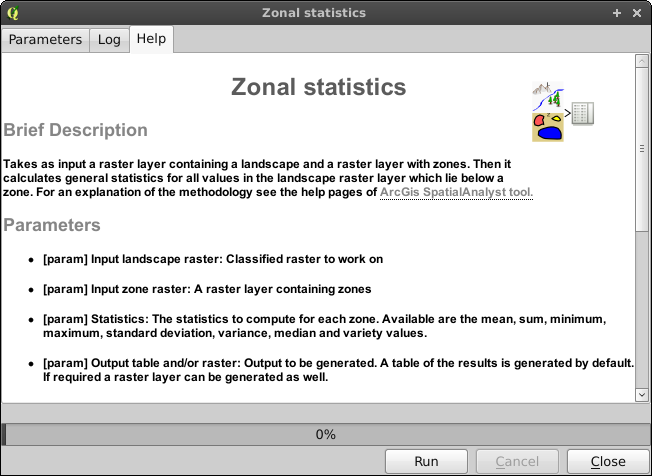 Maybe i can mark the whole plugin as stable as soon as QGIS 2.0 will be released.